I’ve always felt that introducing my pets – or my human children – to any people I’d either recently met — or even worked with — was a perfect litmus test. Based on years of experience, I now know unerringly, that if they don’t like them, it is in my best interest to immediately dissolve the relationship. It took me a few (well, OK, quite a few) bad endings before I figured this out. Not to mention a couple of incidents that were painful at the time, but now sound kind of funny. For example, back in the 80s I persisted in dating a guy who my kids vehemently disliked and distrusted, despite the fact that he tried to endear himself to them by taking them along with us on weekend excursions to state parks and wildlife refuges, and even for a ride in his private plane. Somehow I managed to ignore their feelings, telling myself they were just jealous about sharing their “Mommy time” with him. And though I am no longer dog-paddling in the dating pool, I can promise you that of you are – you need to buy this book. And read it NOW. It is not only laugh out loud funny, it also suggests ways to use your dog’s inherent animal intelligence to find a dog-loving Mr. Right who is just right for you and your canine offspring. 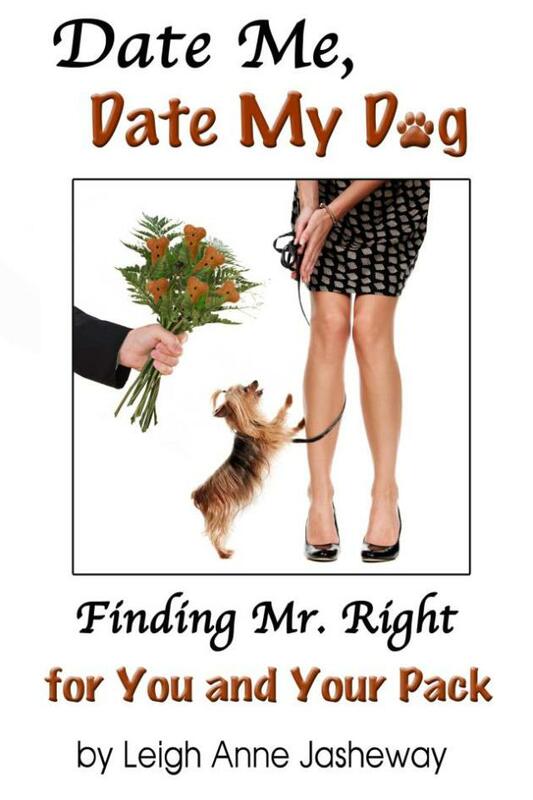 “Date Me, Date My Dog: Finding Mr. Right for You and Your Pack” is a single woman’s guide to dating that not only empowers you to hold out for a guy who loves you for the dog-loving woman you are, but also suggests ways to use your dog’s sensibilities to find Mr. Right for you and your canine kid. 2. Know when it’s appropriate to let the crazy dog lady loose. 3. Decipher the language men use in personal ads. 4. Use astrology to glimpse the future relationship between your two BFFs. Equipped with a canine contract and dating capability test, this book will help you successfully navigate the dog-eat-dog world of dating with humor and compassion…and more than a little help from your faithful, furry, forever friend. Leigh Anne Jasheway is NABBW’s Boomer Humor Associate, and you can read more of her NABBW columns here. Additionally she shares her thoughts on her Facebook page and her website, Accidental Comic. One final note: As you can see by the hyperlinks up at the top of this post, this book is fully downloadable. Important in case once you read the book you realize you have an instant need for it.